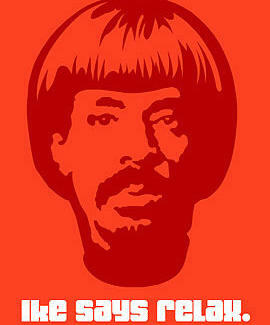 Blues/Funk pioneer and domestic violence proponent Ike Turner met his maker last week, so keep his memory alive with this Brooklyn design collective's t-shirt, "Ike Says Relax". No, seriously, woman. Relax.